Having a sick or injured pet can be very stressful. Often, when a beloved pet needs surgery, pet parents barely have time to process what’s going on, let alone ask meaningful questions. Below are five important topics to consider—in advance—to ensure top-notch surgical care for your furry family member. What is the difference between elective and emergency surgery? Elective surgeries are non-emergency procedures your pet may need to restore health or mobility. 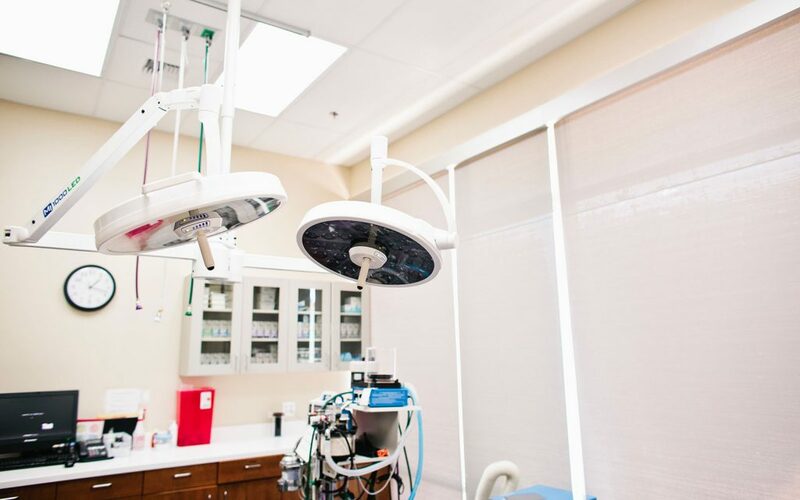 An elective procedure can be scheduled in advance, allowing you time to research the procedure itself, who will perform the procedure, and where it will be performed. Examples of elective procedures include surgical correction of a patella luxation, a tibial-plateau-leveling osteotomy (TPLO), routine spay/neuter, or a simple mass removal. Emergency surgery is a procedure necessary to correct an immediately or potentially life-threatening condition. Examples include surgery for an intestinal foreign body, internal bleeding, or gastric dilatation and volvulus (bloat). These situations require immediate stabilization of your pet and surgery as quickly as possible. Having a plan for where your pet will go in case of emergency will provide you with peace of mind. AES offers both elective and emergency surgeries. How will my pet be monitored and supported during surgery? In addition to knowing the type of surgery your pet needs, it’s very important to understand how your pet will be monitored during surgery. Ideally, the facility should have the ability to monitor ECG (heart rhythm), blood pressure, oxygen saturation, carbon dioxide, and body temperature while your pet is under anesthesia. Close monitoring allows for faster intervention in case of complications. The facility should have a person dedicated to monitoring anesthesia throughout your pet’s procedure. Devices such as fluid warmers and warming blankets can also help keep your pet warm and comfortable while under anesthesia, reducing the risk of complications. At AES, all patients are carefully monitored using equipment similar to that found in human hospitals. What is the experience level of the veterinarian performing the surgery? Before scheduling surgery, be sure to ask your veterinarian about their experience with the procedure your pet needs. Some surgeries are extremely complicated and require specialized equipment and knowledge. Board-certified veterinary surgeons undergo four additional years of training (one year of internship plus three years of residency) after graduating from veterinary school. To become a board-certified surgeon, the veterinarian must also pass a rigorous, two-day examination. Consequently, a board-certified surgeon has the knowledge, experience, and technical skills necessary to perform many different types of surgeries. Dr. Kelci McKeirnan is a board-certified surgeon and the Pack Leader of AES’s Surgery Team. How will my pet be cared for following surgery? The surgery itself is just one step on your pet’s path to wellness. It’s very important that your pet be monitored carefully after surgery. Pain management and nursing care are necessary to keep your pet comfortable and expedite healing. Some facilities have limited or no staffing overnight, which could result in less than ideal post-operative monitoring and care. AES is fully staffed—24 hours a day, 365 days a year. Is the facility equipped to handle potential complications during and after surgery? The best way to avoid complications is to be prepared for them. Before surgery, you should discuss all of the potential complications with the veterinarian and make sure that the facility has the means to address them. This could be as simple as post-operative monitoring and pain management or as involved as blood transfusions and mechanical ventilation with a ventilator. Ask to see where your pet will be prepped before and recuperate after surgery to make sure you and your pet feel comfortable with the surroundings. AES offers around-the-clock emergency and critical care services should your pet need it. Knowing the answers to these questions will help you feel better prepared in the event your pet needs elective or emergency surgery. Please don’t hesitate to contact AES at 425.827.8727 if you have any questions about your pet’s surgical needs.